Most traffic cameras do their jobs just fine, but without any real, you know, panache. They tend to focus on streams of traffic, with little regard for aesthetics. 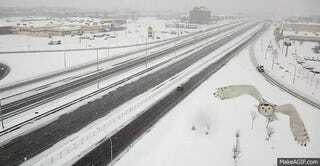 But not this one traffic camera on a Montreal bridge, which took a pretty fantastic picture of a snowy owl. 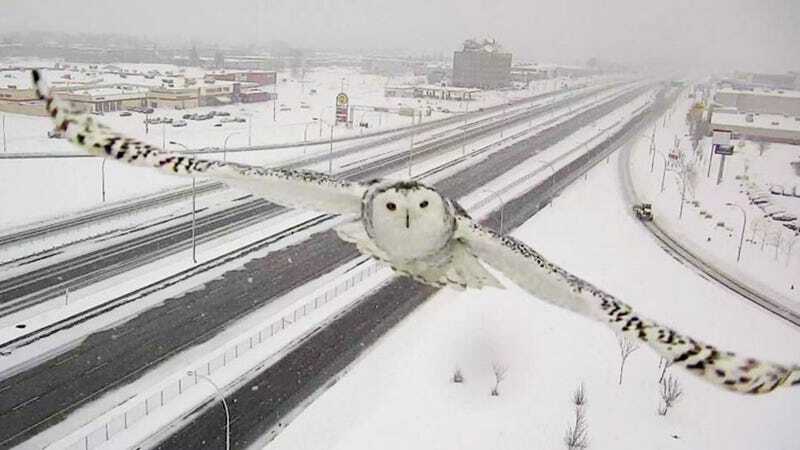 It’s not clear if the automatic traffic camera mounted to a bridge on Montreal’s Highway 40 has ever been known to be interested in wildlife photography, bit if it is. these images of a snowy owl, looking for a good perch, will make an excellent addition to its portfolio. Transport minister Robert Poëti even tweeted about the photos, so maybe he could be a reference if the camera ever wants to get a job with National Geographic or something.